Presenting the evidence of your Highland car accident case can seem daunting. You may be confused over what you need to prove to show that you were not the at-fault party. Our Highland injury attorneys understand your confusion and we want to help you.Arnold v. Wallace is a recent Virginia case arising from a car accident. Mary Arnold (plaintiff) has an automobile insurance policy with Travelers Insurance Company (Travelers). In 2005, Plainitff was injured in a car accident caused by the other driver Jonathan Wallace (defendant). Defendant was uninsured at the time of the accident. When you purchase car insurance coverage, there are many different facets to your policy. Obviously, the more money you pay as a monthly premium, the more coverage you receive if you are involved in a car accident. Every state differs in their laws regarding the standard requirements of the type of coverage you must purchase; however, it is a growing trend for states to have statutes that set legal minimums required in car insurance coverage in order to register your vehicle. Car insurance requirements were created in order to assure that where a driver is involved in a car accident, and that driver was at fault, the other party will be able to be compensated for medical costs and property damage arising from that accident. Although the policy limits and minimums vary depending on the state, the most common different types of car insurance coverage available include personal injury protection (PIP) coverage, bodily injury coverage, property damage coverage, med-pay benefits, and uninsured/underinsured motorist (UM) coverage. When you purchase UM coverage as part of your policy, your car insurance company agrees to pay a certain amount in coverage if you are involved in a car accident with an uninsured or underinsured driver. Plaintiff in this case had a UM provision in her policy, and after her accident she entered a claim with Travelers in order to receive UM benefits. Additionally, Plaintiff brought a negligence action against the defendant for damages associated with the accident that he caused. In order to prove that her medical injuries were a result of the car accident with the defendant, there were medical records and expert testimony entered into the record. The dispute in this case was regarding the evidence presented to prove that the plaintiff’s injuries were directly related to the accident with the defendant. Plaintiff’s counsel called her doctor to testify as to the medical issues she was suffering with since the accident. This doctor testified that the plaintiff has spinal stenosis, bone edema and post-concussion syndrome. This doctor, as with most doctors, kept a patient chart that indicated the medical impressions and opinions of his staff. On cross examination the defendant’s counsel created a foundation for the relevance of this chart and sought to enter it into the record. Over a plaintiff objection, the record was entered into evidence. Although the plaintiff argued that this chart was hearsay; the court held that because the medical chart was a business record regularly maintained in a medical practice, it could be validly entered into evidence. Thus, the impressions of the doctor’s medical staff regarding the plaintiff’s injuries were released to all of the parties in the case. This led to a significantly lower award for the plaintiff because the causal link between her injuries and the car accident was skewed. Indiana citizens no longer have the right to resist police from entering the home. Formerly, Indiana citizens had the right to not allow police officers to enter private homes if the resident indicated it was not their preference for any reason. This new case law came about after justices were faced with a decision to make in May when police officers had to respond to a domestic disturbance. Of course, in a situation, such as described, the preservation of all citizens’ rights and the protection of all citizens are the top priorities for police officers. As such, the court decided it was in the best interest of all parties to abolish the law, meaning that citizens cannot resist police entry into private homes when police officers deem entrance necessary. In summation, it is unlawful for citizens to resist requests from police by blocking entry to places that police wish to enter. Police officers have the right to file charges against people who interfere with the proper execution of the law. Failure to cooperate with the police and violation of the law may result in a misdemeanor. In heated situations, like domestic disturbance or violence, there have been instances where people have attempted to block entry of the police not their residences. It is this type of inappropriate judgment that has caused the courts to step up to revisit the situation and adjust the law accordingly. Indiana law changes are swift when necessary. 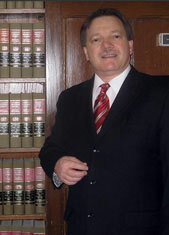 Indiana tax modifications of numerous types took effect on January 1, 2011. These modifications relate to environmental remediation expenses, charitable retirement plan distributions, qualified tuition and fees, student loan interest, annual employer exclusions, transportation fringe benefits, educational expense exclusions, transportation fringe benefits, start-up expenditures, and depreciation of leasehold improvement. Indiana tax modifications are, for the time being, temporary, and may return to original Indiana tax laws in several areas by 2015 and 2025. Though the tax modifications have been designed to reduce expenses, individual tax rates are higher than the 2010 rate. The Illinois tax rate also escalated for trusts and estates. The Indiana Legislature has decided to take away the allocation for public funding for Planned Parenthood recently, a notable change in the new abortion law. Indiana is now the first state that will not provide funding for abortions. Planned Parenthood funding has been eliminated effectively immediately. In fact, soon Medicaid patients may be a risk of a cut off from services as well. This Indiana law means that it is also the first state to deny Medicaid funds for preventive health services as well, including: gynecological pap smears and breast exams. Missouri and Texas have also eliminated Medicaid grants for family planning. The Indiana Right to Life program also supports this claim. Indiana abortions are also banned following the 20th week of pregnancy unless the pregnant woman is at risk of a life threatening illness. assets owned by Frederick C. Cashner, Jr. No property of any kind is to be removed from the premises located at 371 East Tratebas Road, Valparaiso, Porter County,Indiana. Additionally, no assets are to be used or transferred. Anyone accepting or assisting in the transfer of assets, accounts or property shall do so at their own financial risk and will be held accountable. Law regarding a tax compliance measure for small businesses has recently been changed to better help support small businesses. The law revision relates to the former requirement of small businesses to send a 1099 form to companies in which they had to purchase services that exceeded $600.00 annually. Small businesses had been concerned about the requirement to track and file paperwork for the services in which the company has to purchase over the year in excess of $600.00. Small businesses claimed that the requirement would place hardship on small businesses that would have to take time away from productivity to dedicate time to potential mounds of paperwork. President Obama agreed with the contention of small business owners. Thus, the filing law is no longer a requirement. Small businesses are the framework of the nation, particularly during difficult economic times. Laws the limit productivity and take away from time that companies can allocate to revenue generation may significantly impair the growth of a small business. It’s time to slip into your sneakers and get ready for a healthy run. The One America 500 Festival Mini-Marathon is set at the same time as the Legal Aid Centre of Eldoret, Kenya, known as the LACE Race. The Legal Aid Centre of Eldoret, Kenya is hoping to raise the number of participants in the race to help support their initiatives for the protection of civil and legal rights of those involved in the AMPATH program, a medical collaboration joining efforts of Indiana University and Moi University in Kenya. LACE supports legal guidance for those in need. LACE is committed to demonstrations of good will for the support of availability of legal counseling for those in need. Increased energy, as you release endorphins when you perform any activity in which you lift one foot off the floor interchangeably. Indiana Superior Court recently partnered with IHCDA to provide a secure Internet portal to enhance faster, more efficient resolutions for mortgage lenders and people facing foreclosure. The mortgage crisis has vastly affected thousands of lives, both from the prospective of the lender and the borrower. The foreclosure process is often inhibited when people facing foreclosure are not aware of the documents required or know how to properly present documents that allow for a timely, efficient and mutually beneficial resolution to the foreclosure. The Indiana based Internet portal enhances the chance of a successful settlement agreement by providing a means to bridge the information gap between mortgage lenders and borrowers challenged by foreclosure. During the mediation process, borrowers will know how to submit documentation to housing lenders. This information is not part of the court process but meets requirement for settlement negotiations. Indiana imposes stiff penalties for people with a DWI. Everyone today is likely to have heard the old adage, “No drinking and Driving”. Everyone today is likely to know the value associated with having a designated driver in your companionship on days or evening of drinking. Still not everyone knows the implications associated with a DWI in terms of personal injury to yourself or others. People injured by drunk drivers tend to experience some of the most debilitating injuries.